It’s all go on the Christmas front, so I thought I’d give you a quick update. 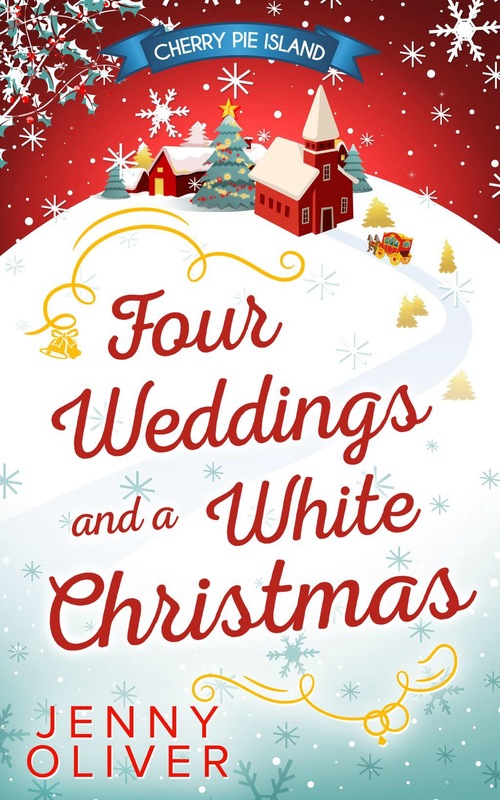 The latest Cherry Pie Island book, Four Weddings and a White Christmas, is available to download now http://amzn.to/1MXpMP4 and is brimming with all things Christmas. In it we meet cool single-mum Hannah and fiery, kinda moody chef Harry and watch as they (somewhat reluctantly) get to know one another over the course of four very different weddings. It’s funny, flirty, packed full of romance and, of course, there’s heaps of snow! I hope you’ll love it (whether you have or haven’t read the previous Cherry Pie books). 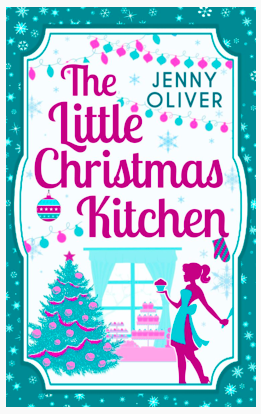 And then, super excitingly, there’s The Little Christmas Kitchen which is now available in shiny, sparkly paperback from all the major supermarkets, WHSmith and Amazon http://amzn.to/1LS2Z6p. This is a standalone Christmas book following the lives of estranged sisters Ella and Maddy as they life-swap for the festive season. One leaves her high-flying London life behind in favour of The Little Greek Kitchen run by her mother on the island of Corfu. The other leaves idyllic island life and heads to the big city ready to make her mark on the world. But a big fat festive life-swap isn’t as easy as it sounds! As the sisters trade one kitchen for another, it suddenly seems that their recipes for a perfect Christmas might be missing a crucial ingredient: each other. I LOVE Christmas. And I LOVE Christmas books. I really hope you love these books as much as I loved writing them. Let me know either here or on Twitter @JenOliverBooks. And for anyone who wants to know a bit more about my Christmas – all its traditions and my fave things – as well as all things writing, below is an interview I gave for @UKCarina. Enjoy! And 100% let me know whatever you want to share about your Christmas – the traditions, the songs, the smells, the tastes. Let’s get festive! Tell us what your average writing day is like? I write at my desk in my flat with the door shut so I’m completely cocooned. If I’m making story notes though I tend to go out to a cafe for a change of scene or go for a walk if I’m stuck on something. I come up with ideas on long car journeys talking to my husband or on the phone to my mum or when I’m trying to convince my toddler to nap or while I’m in the bath! This is your third Christmas story and as ever the food on the Christmas table is really important. What’s on your Christmas menu? – We have a really traditional Christmas menu – turkey, Brussels sprouts, roast potatoes, stuffing, Christmas pudding etc – and, similar to Harry’s dad in Four Weddings and a White Christmas, if it’s messed with there are tantrums! We see The Dandelion Café is being decorated with all sorts of retro ornaments for a Kitschmas wedding! 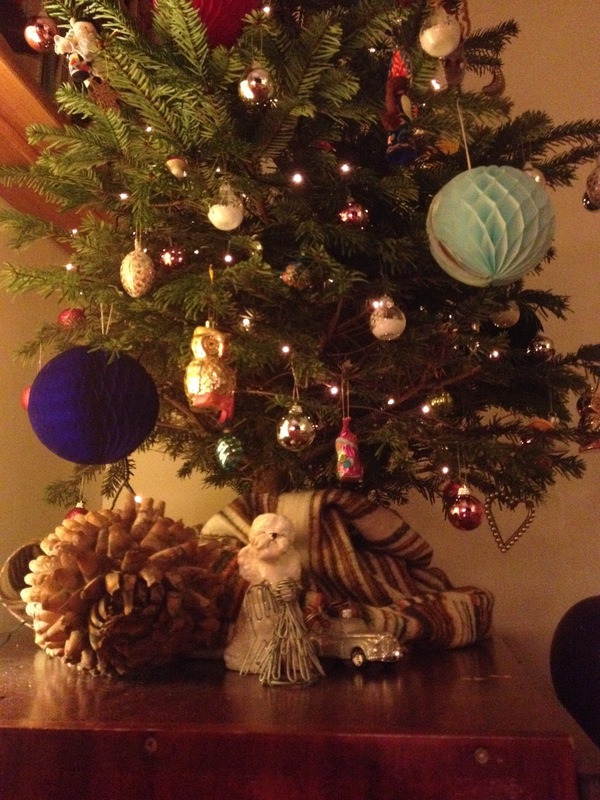 Do you go all out with Christmas decorations or is it minimalist chic? Decorations are a massive part of Christmas for me. I used to love it when my mum had decked out our house with garlands of holly and ivy growing up – it meant Christmas had truly begun. And I try to carry on that tradition in my place. Last year I strung lots of tiny multi-coloured baubles to brown garden string and hung them along the walls of my living room – for something so easy to create the look is really effective. I also bought some beautiful vintage silver glass ornaments from a car boot sale but I put them in the bottom of the buggy and then forgot they were there when I folded it down – they shattered everywhere, I was gutted! This year though I have a whole bag of new decs that I bought in the January sale last year – I can’t wait to get them out and admire them. In the story all of Hannah’s family gather in the morning to open stockings. 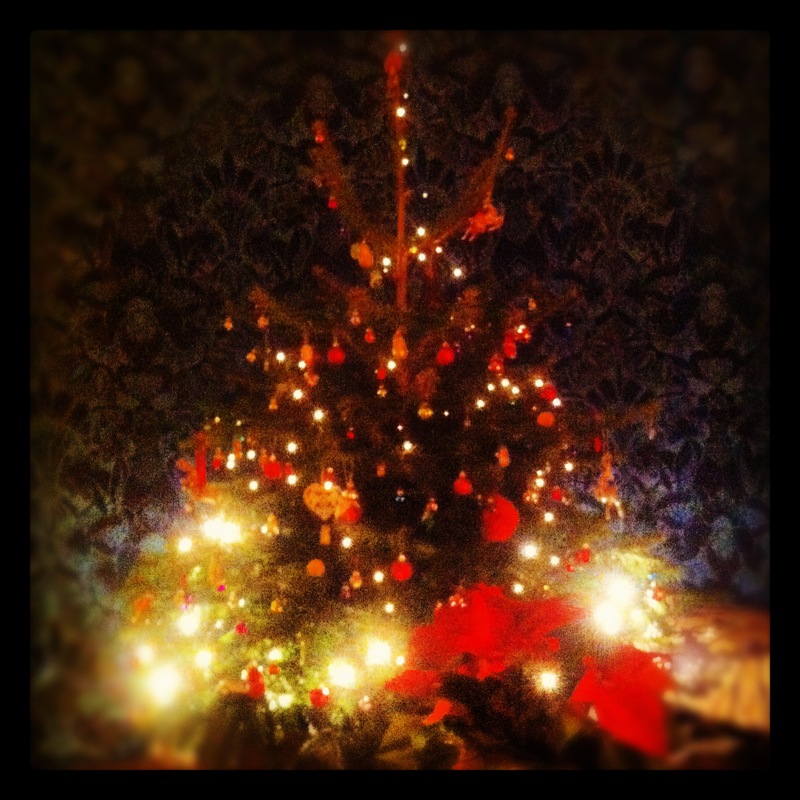 What are your Christmas rituals? – Well I stole the one for Hannah’s family from my own! We always opened our stockings together as a family and, if we’re all staying in the same place, still get them. Me and my sisters make ones for my mum and dad and they make them for us. We sit round the fire in the morning with cups of tea and see what little gifts we’ve been given. Harry walks New York at Christmas – have you got any favourite places to go at Christmas time? Christmas every day or sunny summer holiday? – Both but only once a year. The anticipation is 90% of the fun. What’s the best thing about Christmas? – The build up. I like the shopping for presents, the get-togethers with friends, the family catch-ups, the skating rinks and all the little things that take you by surprise – last year there was a Christmas evening in the high street near us with real live reindeer! What’s your favourite Christmas smell? – Walking into the house the day after the Christmas tree has gone up. The surprise of the scent of pine is like a shot of Christmas adrenaline. Give us a Christmas memory that makes you smile? – When I was about ten my older sister bet me that I couldn’t wait till after lunch to open my presents (up till that point I’d spent every Christmas morning hurrying people through breakfast so we could open the gifts). Since then it’s become a family tradition to wait till after lunch for present opening. – Either Home Alone or It’s a Wonderful Life. Although the year before last we went to see Cinema Paradiso at the cinema a couple of nights before Christmas and now it fills me with Christmas nostalgia. I also have a soft spot for Mrs Miracle with Dawson from Dawson’s Creek in it. It’s Beginning to Look a Lot Like Christmas sung by Dean Martin. – I love buying presents – it’s one of my favourite things. There’s nothing better than nailing the perfect present for someone and then seeing the look on their face when they open it. What’s the last thing you snapped on your phone? – A screen shot of my book The Grand Reopening of Dandelion Cafe at #5 in the Kindle chart and a video of my son laughing so hard he has to lie down. – The Ice Twins. I was home alone and completely spooked. Which piece of wisdom do you live by? – The less time I have the more likely I am to get it done! This entry was posted in Uncategorized and tagged cherry pie, chicklit, Christmas, reading, romance books by jennyoliverbooks. Bookmark the permalink. I have read ALL the 4 Cherry Pie Island books and loved them all along with your characters, tears rolling down my cheeks at times but I thoroughly enjoyed every one. They went too quickly.